1. Chucks Army is running a lot of FAST meets back to back to back. Seems very opposite to his teachings at recent clinics. 2. So these girls never run under 10k pace in practice? A couple tempo intervals, a game day, a couple strength circuits and presto! I'm not buying it. Or Campo simply gets the most talented kids in NCS. Which is likely true. So what's the truth over there? I think the consistent, progressive training over four years is more likely the answer to why the Campolindo runners run fast. It's been stated before but there is talent at every school. The key is getting that talent to come out for your sport and then doing a good job with that talent as a coach. I think Chuck's success over many years speaks for itself. This is Chuck's best girls team, ever. 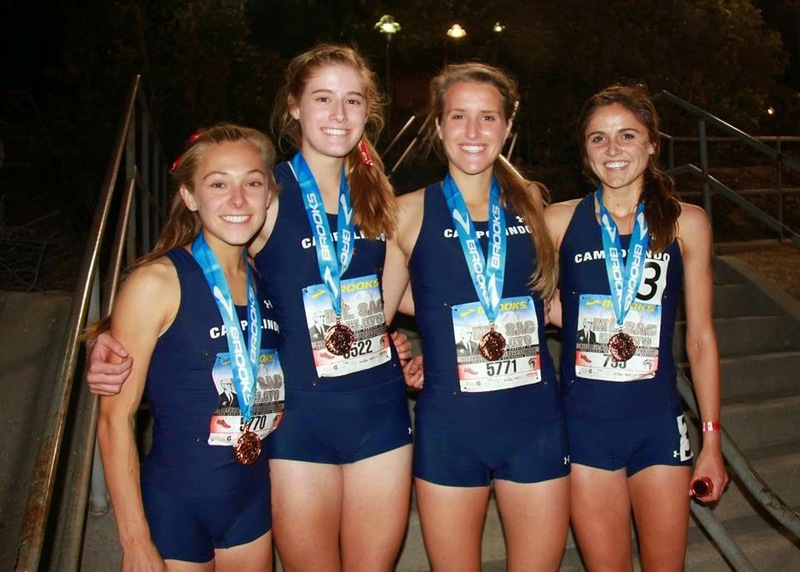 They hit up the big meets, Stanford ( relays ) Arcadia ( individual events ) Mt. Sac ( relays )Broke school records, ran PR's . Perfect, now go back and train for post season. Great job Campo. Great Job Ladies! Chuck- make sure no one gets hurt.